Cathryn Reher is a dedicated elder law attorney who joined the firm in 1998 and has been a shareholder since 2000. 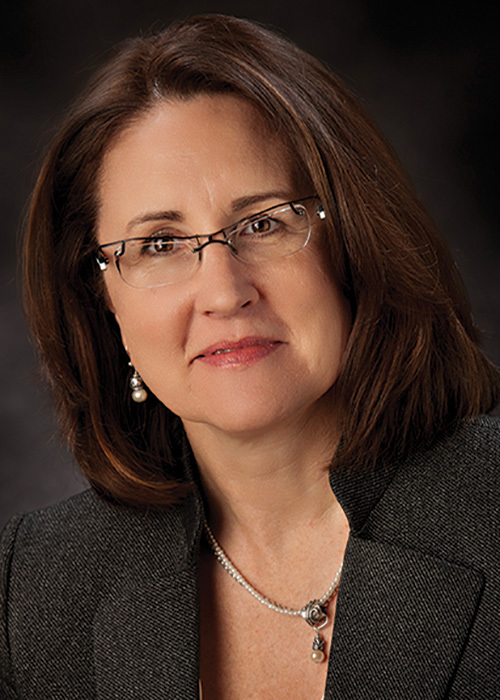 She has practiced elder law since graduating with high honors from Hamline University School of Law in 1991. Every client has the benefit of her knowledge in the areas of Medical Assistance and Veterans Homes planning, trusts, wills, real estate, advance decisions regarding health care, nursing home issues, long term care alternatives and surrogate management of financial and personal matters. She is recognized for her thorough and detailed estate and long term care planning analysis and passionate advocacy on behalf of her clients. Cathryn is a member of the National Academy of Elder Law Attorneys, the Special Needs Alliance, the Elder Law Governing Council (past secretary), and the Elder Law, Real Estate, and Probate and Trust sections of the Minnesota State Bar Association. She served as chair of the Medical Assistance Committee for over a decade and is a current member of the State Plan and Legislative Committees of the Elder Law Section. Her peers describe her as intensely passionate about her work. Cathryn lectures frequently to financial planners and community groups on Medical Assistance and estate planning. She regularly serves as faculty and makes presentations on elder law topics at continuing legal education courses for attorneys through the Minnesota State Bar Association. She teaches professionals obtaining continuing education credits and served as faculty for more than a decade with Kaplan Professional Schools. Cathryn has been recognized repeatedly as a Super Lawyer, one of the Top 100 Women Super Lawyers and as one of the Top 40 Estate Planning and Probate Super Lawyers in Minnesota. In past years she has also been named as one of the top 50 female attorneys by Minnesota Law and Politics and one of the top five Elder Law Super Lawyers in Minnesota. She has also received the prestigious Mary Alice Gooderl Award from the Elder Law Section of the MSBA in 2005 for her contribution to the practice of Elder Law in Minnesota. Cathryn has a loving husband Tim, a daughter, Emma, and a son, Oscar, who live along with the family cat, Lily, Cavalier King Charles spaniel, Li’l Sis, rescue boxer, Sam, and two very large gold fish — Shawn and Gus. Emma was diagnosed with dyslexia in first grade fueling a new avenue of advocacy for Cathryn in the disability world. Soccer is a huge part of family life that has spurred a friendly family rivalry for different English Premier soccer teams — Go Liverpool! Cathryn’s mother Jeanne, in her 90s, is still living independently; she provides a daily personal reminder of the significant responsibilities of our client care takers. Cathryn is passionate about cooking and gardening and loves to read, bike, backpack and travel. Her favorite flowers are the brilliant orange globe flower and spiky sea holly. A book she highly recommends to all is Joan Didion’s The Year of Magical Thinking with its assistive insights on coping with loss. Cathryn is a 16-year selectee on the Super Lawyers list, placing her in an even more exclusive group of outstanding attorneys who exhibit excellence in the practice of law.